Hakais has put up some info about student projects that were accepted as Freifunk Google Summer of Code projects and which are taken care by Guifi.net. Two students involved in Guifi.net have been accepted for the Gsoc 2012. The main purpose of QMP (Quick Mesh Project) is to provide an open and free software solution for the quick deployment of a WiFi network based on Mesh/MANET technology. It is focused to be useful mainly in the wireless community network. It is based on OpenWRT Linux and it is completely OpenSource. The QMP project was drafted by Guifi.net (http://guifi.net/en) active members during year 2010. It was started on the beginnings of 2011 thanks to the funding of a local fundation named puntCat (http://www.fundacio.cat/en_index.html). This funding was ended on december 2011. However the project development still alive by a volunteers team. Strictly speaking, a Mesh network is one where all nodes (participants) are routers, meaning that all the nodes accept and forward packets from other nodes according to the routing rules. Thanks to this property the physical topology of the network is only restricted by the need of all nodes to be connected through at least one link. A community network is a network made and maintained by the same participants. Unlike the model used by the global telecommunication companies (which are business-focused), each user is owner of his stretch following the philosophy make-it-yourself. Using some agreements and organizations (e.g web site) they are able to connect with neighbours, neighbours of the neighbours and so on. The objective of the project is to provide a software solution to easy integrate the Guifi.net characteristics into the QMP system. Currently QMP is a working system, that can be used to easy deploy a Mesh Network but there are several missing features. One of them is the integration with the Guifi.net community. It can also be used as a template for the integration of other Network Communities like Freifunk, Funkfeuer, AWMN, etc. 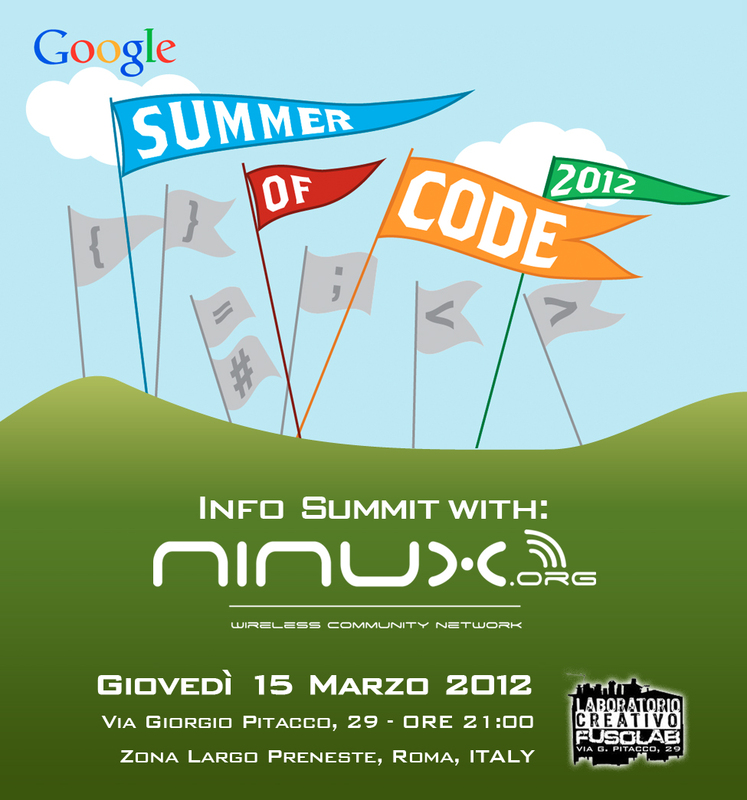 Freifunk.net and Ninux.org have been accepted as mentor organizations for the Google Summer of Code 2012. It is fantastic news that the growing international free networks community is now represented by two organizations in the study program. If you are looking for more information on how to participate get in touch with your local wireless community or introduce your ideas on the wiki or Wlanware mailing list. People on the list will direct you to specific subprojects and contact points if needed.